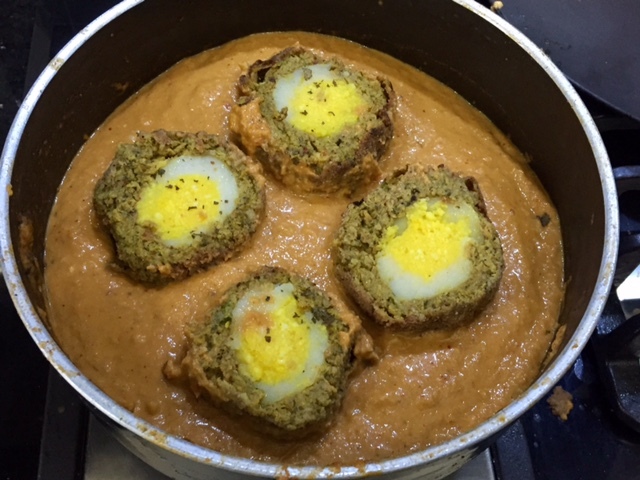 Nargisi kofta curry is a lovely party dish loved by all. Vegetarians can make this version and enjoy too. I had tried out vegetarian Nargisi kababs for an event. They really looked so pretty and I thought why not serve these beauties with a shahi gravy. Everyone loved the curry to the core. To make vegetarian Nargisi kababs select small oval shaped potatoes,boil and peel them. Cut them into two. Scoope out the center part (Size of a yolk) Mash it with some paneer adding a little salt and yellow food colour. Make round yolks with this. Place them in the hollow portion of the potato and join the two halves together. Now cover this potato with a mixture of ground soya granules which has been soaked and ground along with spices and soaked bread pieces for binding. Now fry the kofta and slice it. serve as a snack or with gravy. Now let us proceed to make the shahi gravy. 1. Boil the onions and grind them to make a paste. 2. Blanch the tomatoes, peel and puree them. 3. In a pan heat oil and saute the onion paste. 4. Now add the pureed tomato and saute for a minute. 5. Add the tomato paste, salt and the spice powders. 6. Blend in the cashew paste and saute for half a minute. 7. Now add the cream and as much water you need to make the gravy and simmer. 8. Before serving heat the gravy and add the prepared veg Nargisi koftas. Sprinkle dry roasted and crushed kasoori methi for flavour. This is a really interesting recipe and I love the lovely presentation and the fact that you can serve the koftas as a starter or in gravy as amain. I love your recipe for the gravy as I think it would go well with any koftas or any vegetables. The nargis koftas are really innovative. Thanks a lot.. yes this gravy is perfect for party dishes. Goodness,I thought they were eggs.Only after clicking on the Kofta link did I realize that they are mock eggs. Great recipe I must say. Thanks for liking the dish Aditya. Flavourful and delicious kofta curry! Fir for a royal menu. Thanks for the compliment Jagruti. 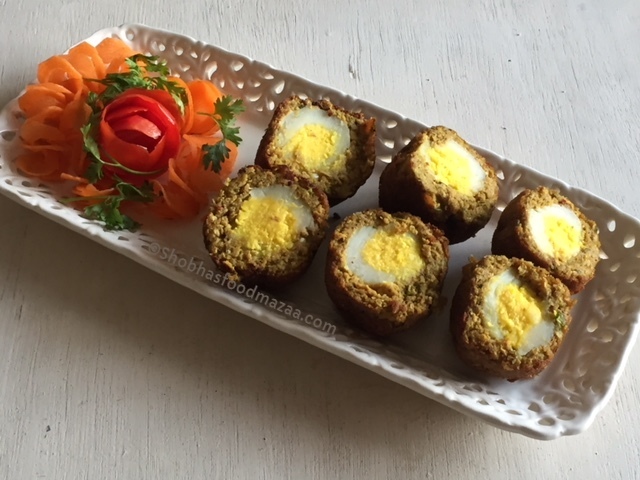 Lovely yummy veg version of nargis kofte , it would be a showstopper at any party or meal. Wow I always assumed this cannot be vegetarian. Thanks for the recipe. Looks heavenly! Indeed it is a dish fit for a king. Kofta curry looks great. Just like egg version. A perfect party dish. 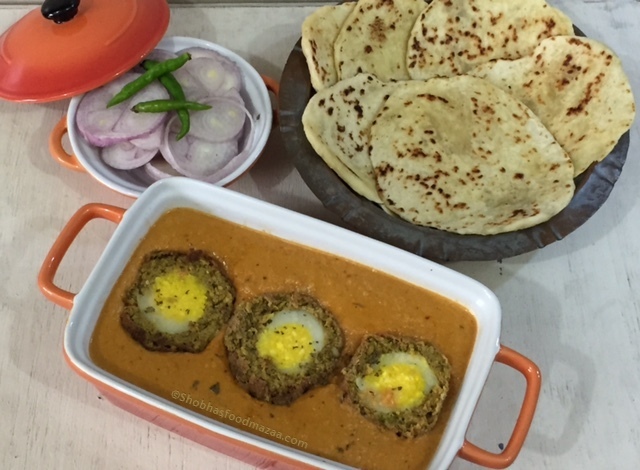 Such a fabulous treat for veg lovers, this vegetarian nargisi kofta tempts me a lot. Too delicious and inviting. Thanks Priya... glad you liked them. Wonderful share... I am a fan of any kofta curry. This looks super delicious. Perfect for party .. This looks so yummy, perfect treat for veg lovers...very quick recipe. Thanks for sharing veg nargisi kofta recipe as I was looking for veg recipe and yours looks just perfect to try. Thanks Sapana.. so glad that you liked my recipe. This is a lovely kofta curry, I can have it with roti or paratha. I love Kofta curries and this one looks awesome...Great share!! Thanks for liking Padma . That is so gorgeous! Loved the gravy and the koftas beautifully laid out. Some hot rotis and this will be ultimate lunch treat! True Vidya.. a Shahi Veg Treat ! Looks yummy. Never made a veg nargisi kofta. saving this for future. Interesting and delicious recipe.. Lovely share ! 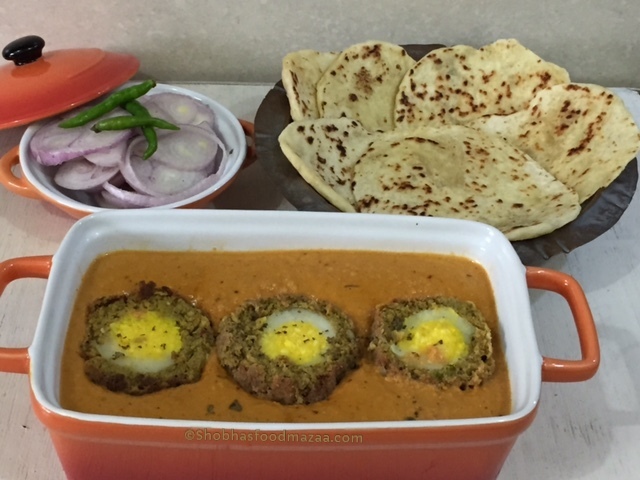 shahi kofta looks delicious, love this one, perfect to make in dinner on festivals.